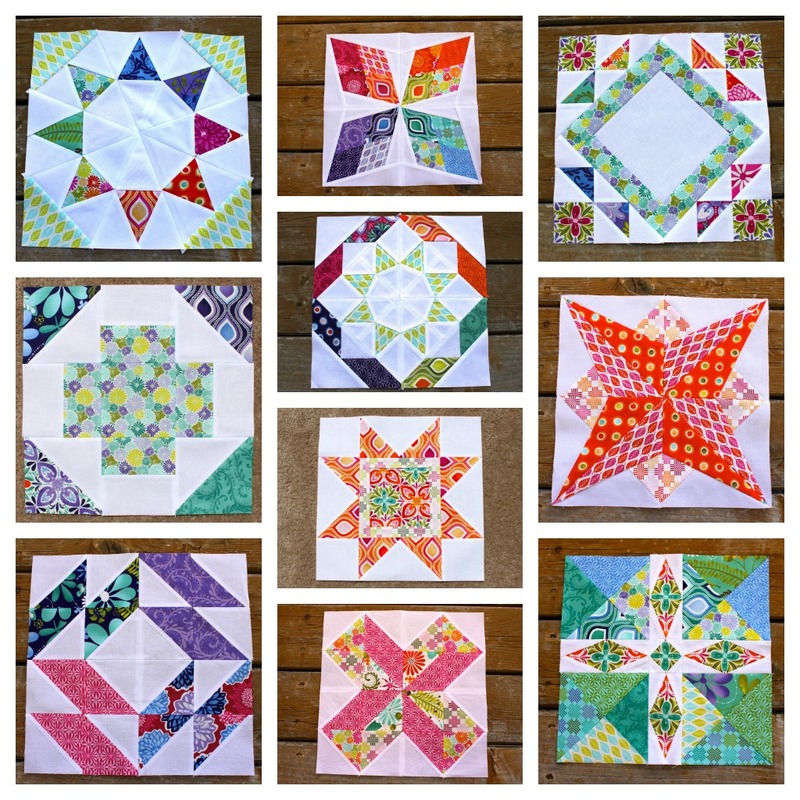 July is a thing of the past, and August is going to bring lots of quilts this way! This is my contribution for the inaugural Cheer circle of the do. Good Stitches quilting bee. 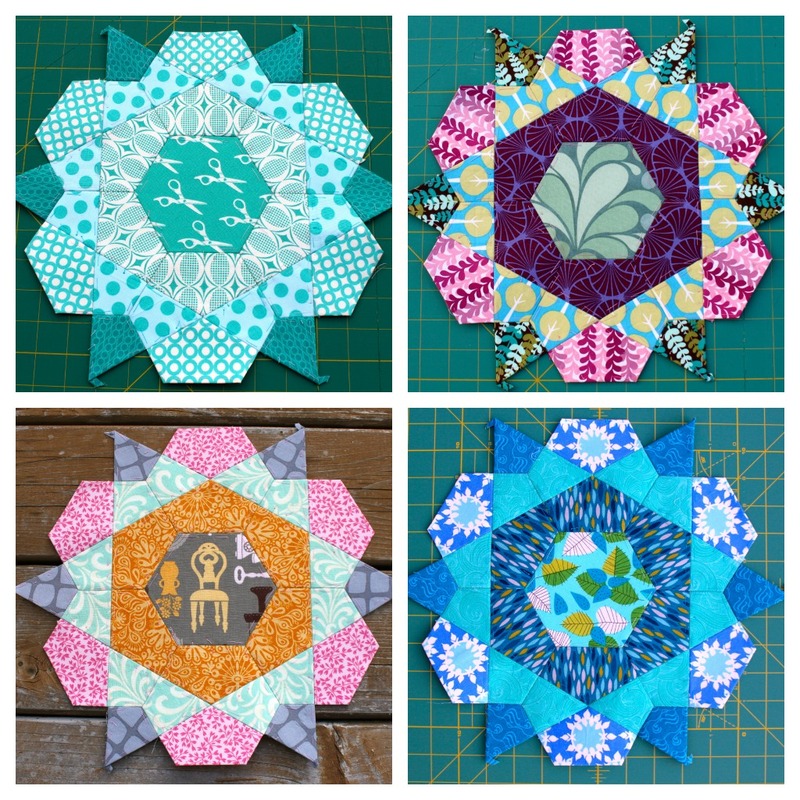 I'm the host for our circle and the quilter for July. It's been fun to watch the other blocks come in the mail. 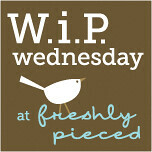 This block is from a tutorial on SewCraftyJess. The addition of the borders means these blocks finish at 16.5." 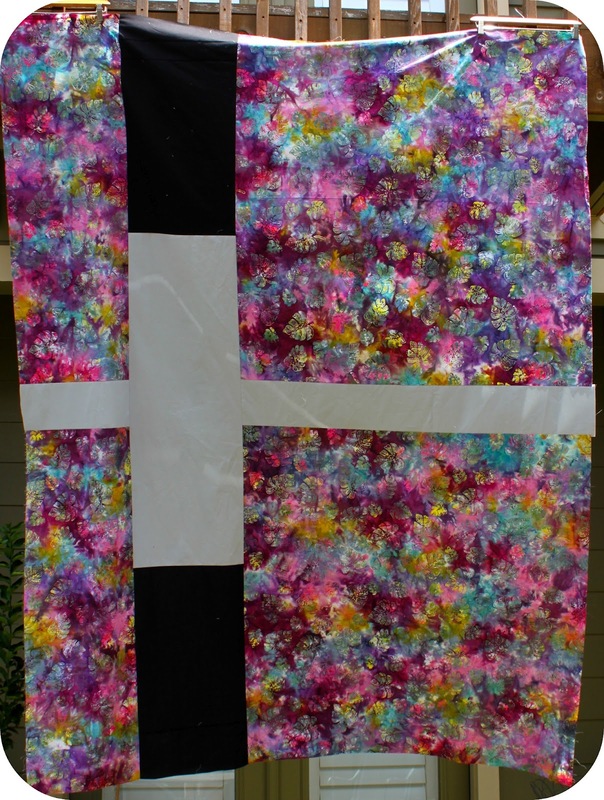 I look forward making this quilt in August! 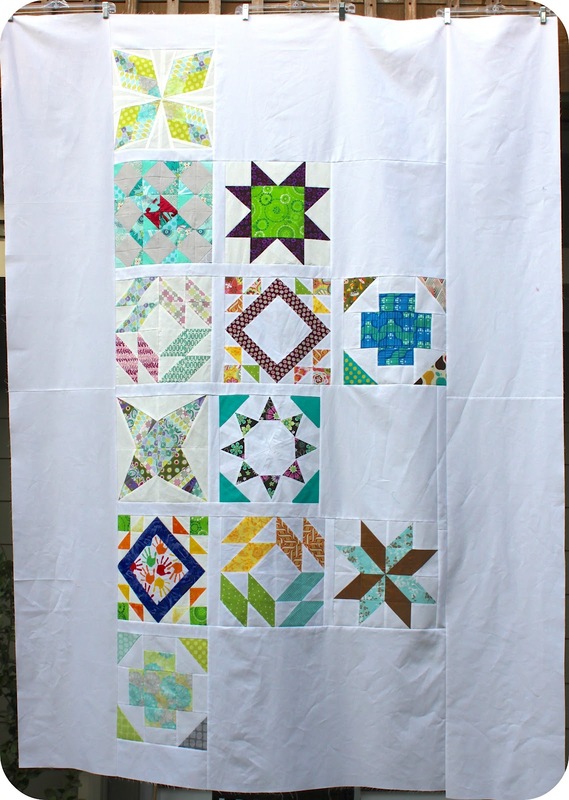 I only finished three of these hand pieced blocks in June, and I lamented that I should have finished one per week. I made up for it this month by knocking out blocks 10 through 13. Plus, thanks to some hand sewing during primetime Olympics, I'm in a good position to have a great month of English paper piecing in August as well. If you need some hand sewing, check out the tutorial on selfsewn. 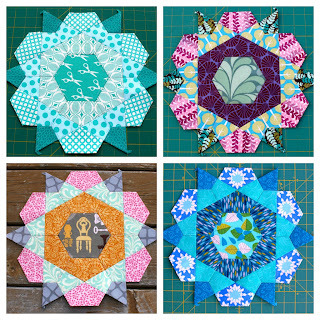 This will be a quilt for me in the end, and I'm so happy to be up to ten Summer Sampler Series blocks after an intense 48 hours of sewing (and even a little sleeping) at the Austin Modern Quilt Guild retreat last weekend. 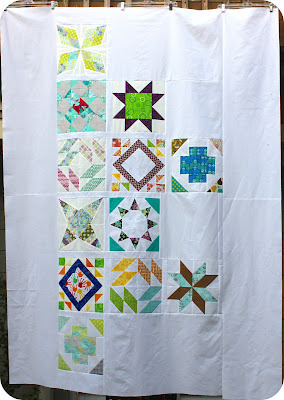 Now I just have to decide if I'm stopping at 12 blocks or if I'll throw in the Solstice Series blocks for good measure. Woohoo! My ironing board looks so much better now! The before was bleak and upping the ugly factor in The Clubhouse. These Viewfinders from Ruby Star Rising are amazing! August is happening, apparently. Are you ready? 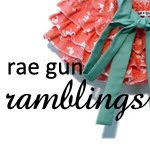 I'm linking up with Lily's Quilts Fresh Sewing Day, Freshly Pieced, Sew Much Ado, Someday Crafts, Rae Gun Ramblings, and SNAP. Love the X Marks the Spot Block. love it all, and that ironing board is just gorgeous!!! That X Marks the Spot block is amazing! I love your new ironing board cover! I really should make one. Is there a tutorial you recommend? Totally wonderful projects!! That ironing board cover is awesome! Wow. Wish I had this sort of patience, attention to detail and TALENT! I love your project and appreciate your taking the time to share on Show & Tell at SNAP!